ETS UK operate from within the North West, with offices in Blackpool, Lancashire. We have over 30 years of experience within the Haulage sector, dealing with some of the biggest names in the industry. All our reversing technologies, safety cameras and vehicle warning systems are designed and developed within our custom made facilities in Blackpool where all our products undergo the strictest testing procedures, ensuring they meet full legislation and stringent quality standards. 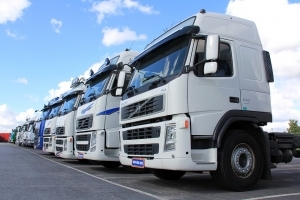 With such a large background of experience to draw from, ETS have a unique ability to diagnose and solve almost any safety related issues faced by the Haulage Industry. ETS are continually developing our range of tried and tested cutting edge products, we are able to offer our customers a full nationwide fitting service and product guarantees we can stand by. We believe you won’t find a better quality product with the range of superior functions and scalability anywhere in the UK or a more solid company to deal with. Ets will keep your fleet on the road, safely. Great reputation for quality, service, and reliability. Behind every installation there is professional after sales support. ETS listen and monitor feedback we receive continually developing our range of products.